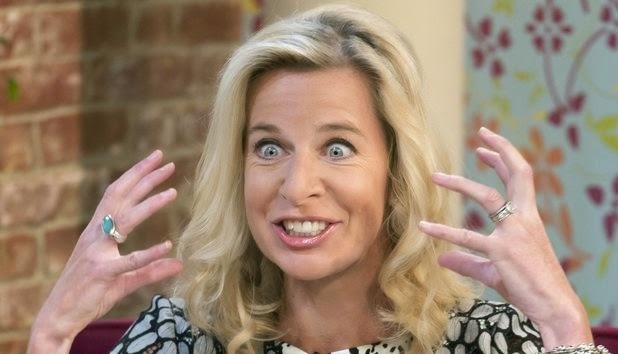 For those of you who still haven’t heard the news, last week saw Katie Hopkins enter the Celebrity Big Brother House. Here at Luxe Models, we can’t help but think this is a case of genius casting. Katie Hopkins may once have been nothing more than a wannabe celeb duking it out for a contract with Lord Sugar on The Apprentice, but times they are a-changing. She’s still wannabe celeb, but these days she’s far less of the former and far more of the latter. Since her days on The Apprentice Hopkins has made it her business to craft a career as a professional troll, offending everyone from fat people to Gazza to suicidal prisoners to ginger babies. What she said about ginger babies was particularly brutal. Here are her exact words… “Ginger babies. Like a baby. Just so much harder to love." Yeah. Pretty brutal. As such, it was no surprise whatsoever last week when Katie Hopkins turned out to be a housemate on this year’s series of Celebrity Big Brother. It looks as though the house is populated with the same horde of wannabes, no-names and has-beens it is every year. However there are in a few names in this year’s bunch which have given us something to get excited about. Perez Hilton, Patsy Kensit. Nadia Sawalha, These are actually (fairly) famous people. Yet it’s Hopkins we’re most excited about. We genuinely believe that she is set to become the best housemate the Celebrity Big Brother has ever seen. It’s all about controversy. Do you remember when George Galloway chose to imitate a cat and lick cream off Rula Lenska’s hands? Do you remember when Jackie Stallone and former daughter-in-law Brigette Nielson found out they’d be forced to live together? Do you remember Vanessa Feltz… lost it, and we mean really lost it? Celebrity Big Brother’s Most Controversial Housemate Ever? In other words, Celebrity Big Brother was built on controversy. It wouldn’t be what it is today if celebs hadn’t lost their minds and embarrassed themselves on national TV. Considering the fact that she’s the queen of the controversial statement, Katie Hopkins is set to become the best – and by that we mean controversial – housemate the Celebrity Big Brother House has ever seen! For more stories like this, from the world of fashion, celebrity news and beyond, be sure to stay in touch with Luxe Models on Facebook.